Nanki Shirahama; a beautiful contrast of the blue ocean and the white sandy beach. Experience a journey through Kishu's nature and culture at Musashi. 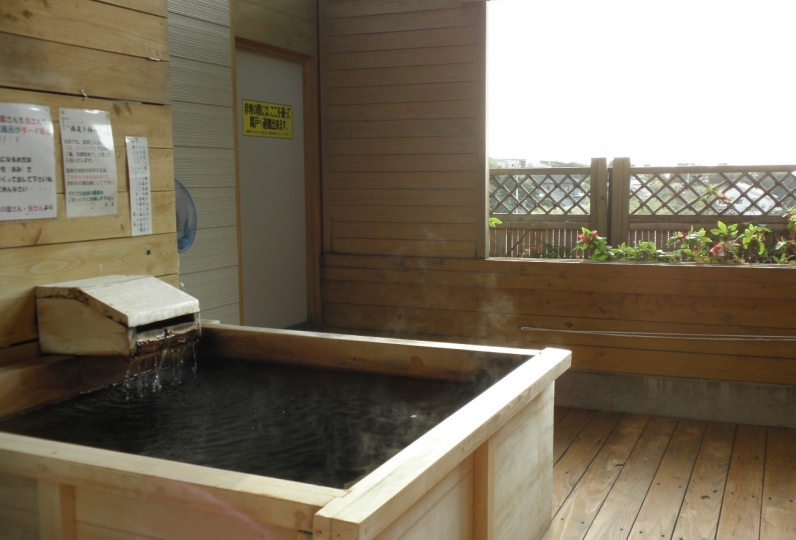 Two hot spring sources have been welling up over the last 1300 years - Saimei-yu and Suzushi-yu. 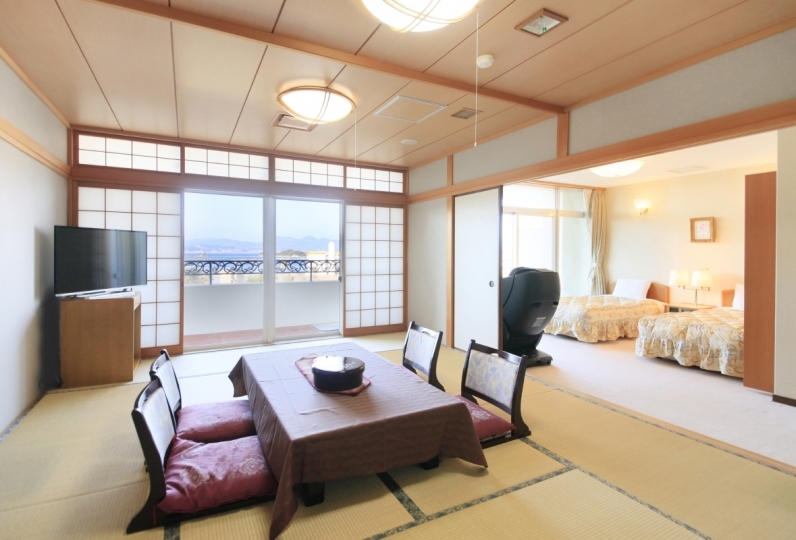 At Musashi guests can indulge in both hot spring waters in 6 different baths. 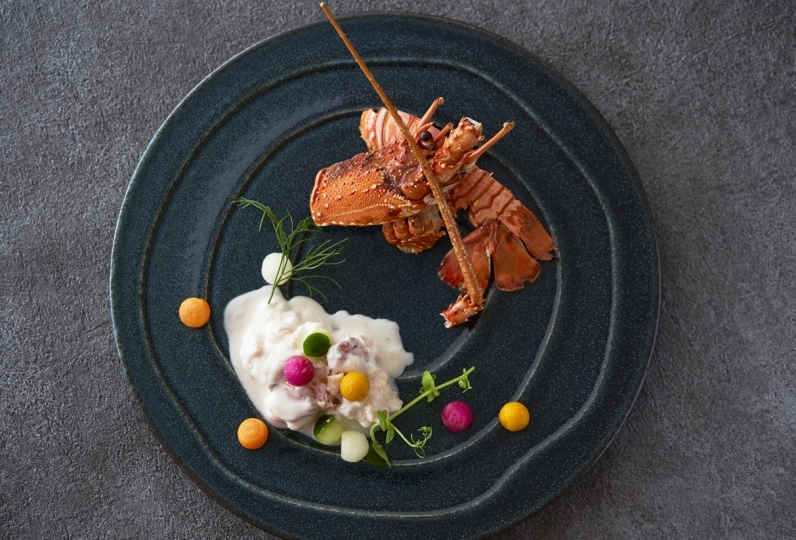 For dinner, savor their traditional Japanese course cuisine featuring seafood dishes made with plenty of produce from the nearby seas, fed by the Kuroshio current. Their buffet is popular with families, and consists of freshly made items straight from the open kitchen. The sunset viewed from the guestroom is sure to be another lasting memory of your stay. I asked for the first time in 30 years. It was an image of an old-fashioned inn, but it was renewed and it was very beautiful. The employees were kind and comfortable. The spa has become smooth. 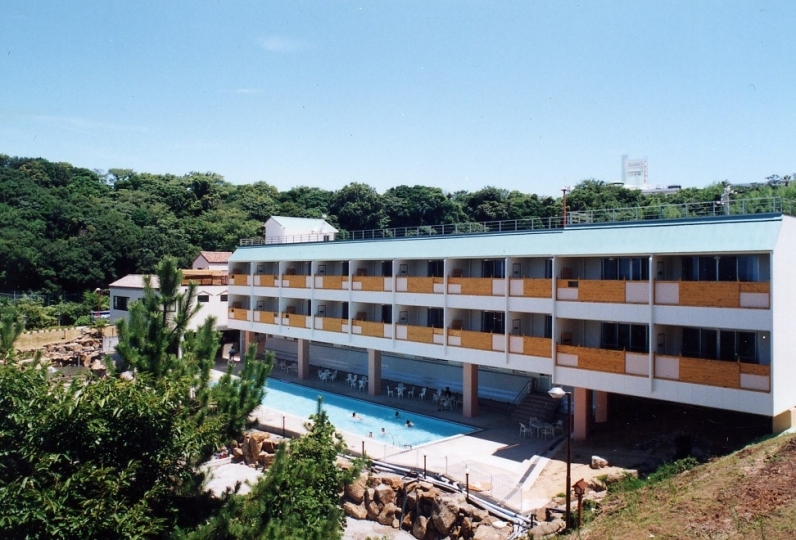 I talked with my husband that Shirahama Onsen was such a good hot spring. I want to see you again. Thank you very much. During the viking dinner, the male staff noticed that I wore the yukata and turned over. He taught me the location of the toilet carefully, and while taking a change of clothes, I was waiting with the tray for the dish I had. I was very happy to be caring with kind words and smiles. I'm really thankful to you. I felt that it was good to stay as the front desk was able to confirm confirmation of the plan difference directly directly to Relux. It was a pleasant trip as the staff members smiled and responded kindly overall. Enjoy a buffet of around 40 items including Japanese, Western and Chinese cuisines, all freshly made in the open kitchen. Enjoy a Japanese-style course cuisine centered around seasonal ingredients of Kishu. Natural hot springs with a history of around 1,300 years. 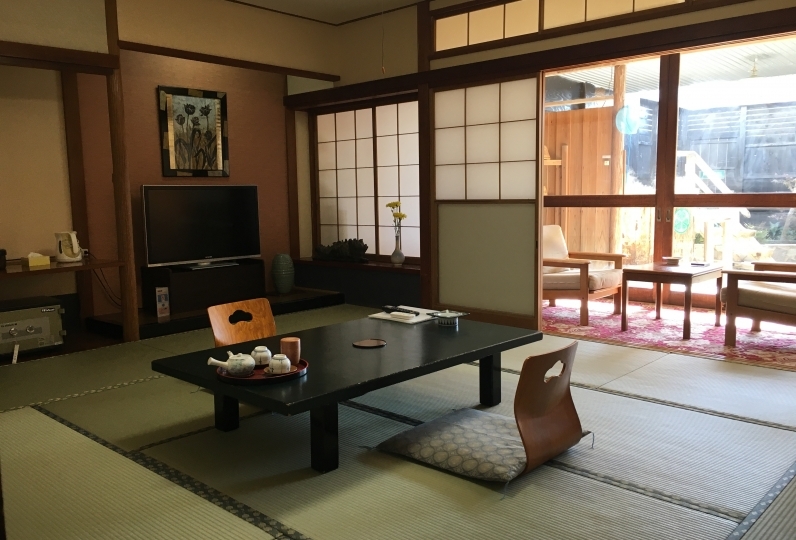 Experience the ryokan’s Saimei-yu in the large and medium sized indoor baths, and Suzushi-yu in the open-air bath, private semi-open-air bath and the open-air rooftop baths (available for use by guests staying in Nagitei rooms only). Enjoy the high quality water. 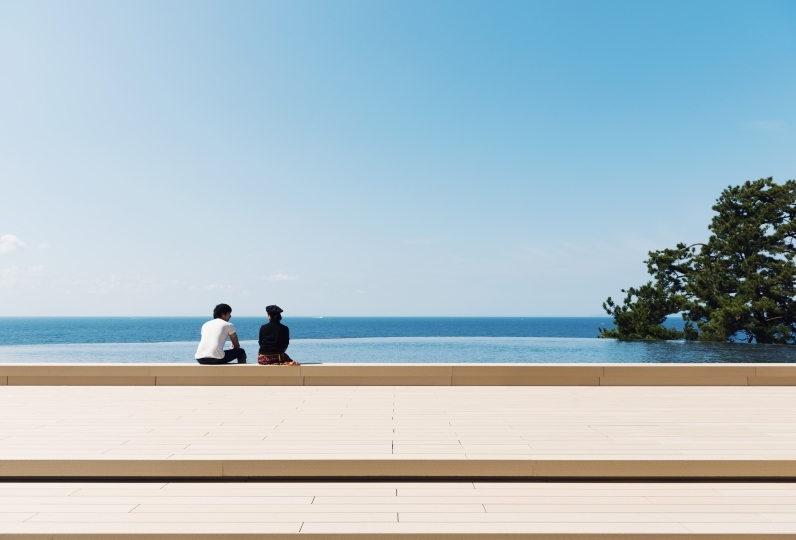 The rooftop baths at Musashi were opened in July, 2018, and are available for use by guests staying in the Nagitei rooms. They are open-air baths with spectacular views. 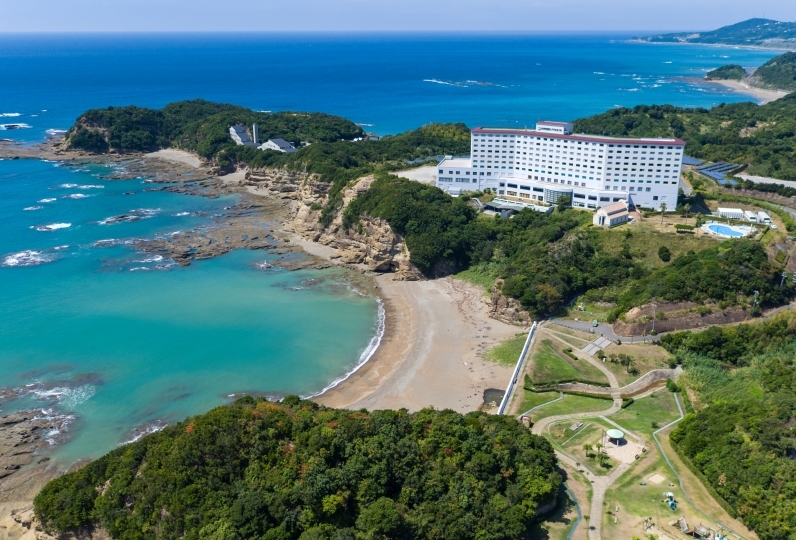 With Nami, a bath with a view of Shirarahama, and Akane, from which you can see Engetsu Island, guests can enjoy 2 fantastic views (the baths are segregated by gender, and are swapped regularly). 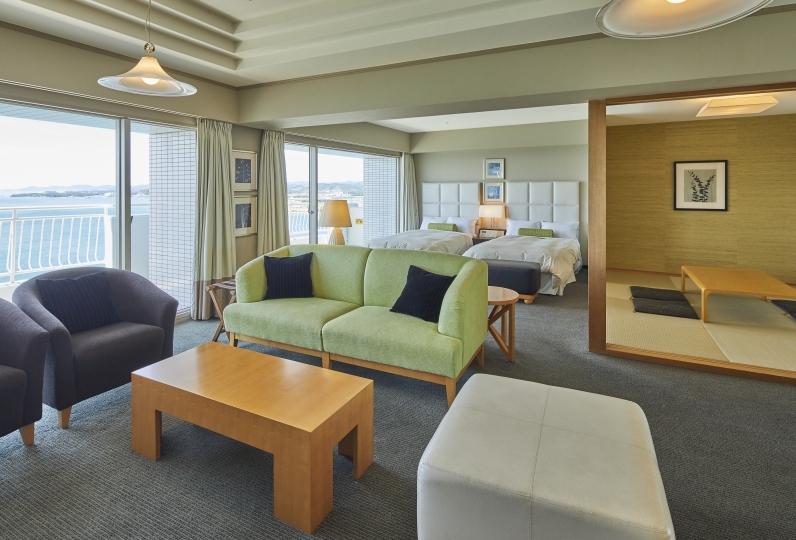 The baths can only be used by guests staying in the Nagitei rooms, so please make your reservations accordingly if you wish to avail of them. *For use by guests staying the Nagitei rooms. Use by children without an adult is not permitted. *The baths may be closed in case of adverse weather. From Shirahama Station on the JR Kisei Main Line, it is around 10 minutes on the local bus to Shirahama Bus Center bus stop. The ryokan is located right in front of the bus stop.